Healmagz.com - Naps are important but few know why naps are so important. Because do not understand the importance of naps so many of us ignore it. Though Thomas Edison was embarrassed about his napping habit, he also practiced his ritual daily. Eleanor Roosevelt, the wife of President Franklin D. Roosevelt, used to boost her energy by napping before speaking engagements. Though criticized for it, President Ronald Reagan famously took naps as well. A nap prevents burnout. In our always-on culture, we go, go, go. However, we were not meant to race without rest. Doing so leads to stress, frustration, and burnout. Taking a nap is like a system reboot. It relieves stress and gives you a fresh start. A nap heightens sensory perception. According to Dr. Sandra C. Mednick, author ofTake a Nap, Change Your Life, napping can restore the sensitivity of sight, hearing, and taste. 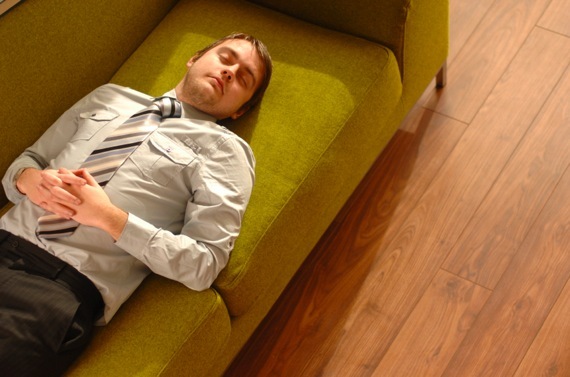 Napping also improves your creativity by relaxing your mind and allowing new associations to form in it. A nap makes you more productive. Numerous medical studies have shown workers becoming increasingly unproductive as the day wears on. But a 2002 Harvard University study demonstrated a 30-minute nap boosted the performance of workers, returning their productivity to beginning-of-the-day levels. Be consistent. Try to nap at the same time every day. This helps stabilize yourcircadian rhythms and maximize the benefits. Keep it short. Avoid “sleep inertia,” that feeling of grogginess and disorientation that can come from awakening from a deep sleep. Long naps can also negatively impact nighttime sleep. I recommend 20–30 minutes. Set an alarm on your phone to avoid oversleeping. Turn off the lights. Light acts as a cue for our bodies. Darkness communicates it is time to shut down—or go into standby mode. If you can’t turn off the lights, use a simple eye mask. I bought mine at Walgreens. Turn the lights back up to full brightness when you wake up. Be discreet. Getting caught napping at your desk is not a good way to earn respect. In some old-school environments, it might even get you fired! But most people get an hour for lunch. Eat in half that time and then go snooze in your car, an unused conference room, or even a closet. Could these successful leaders know something you don’t? I typically take a 20-minute right after lunch. If I can’t do it then, I try to squeeze it in before 4:00 p.m. While working in a motor shop in college, I would eat lunch in my car and then lie down in the back seat. When I was CEO at Thomas Nelson, I napped in a “zero gravity chair” that reclined to a horizontal position. Since I now work from my home, I retreat to my bedroom and lie down in my bed. Here are a few practices I have found helpful. Finally, shift your own thinking about naps. People who take them are not lazy. They might just be the smartest, most productive people you know.